Keeper of the Wild Pablo Millán is staying vigilant in the protection of Yellow-shouldered Parrot (Amazona barbadensis) nests in Chacaracual Community Conservation Area (CCCA), Margarita Island, Venezuela. 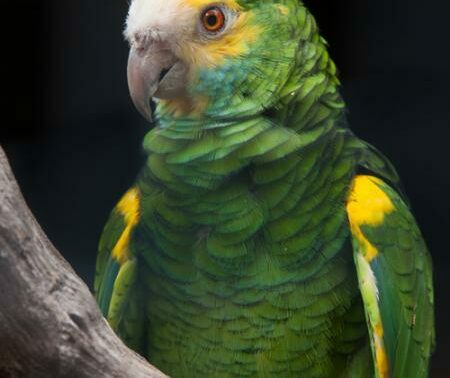 The Yellow-shouldered Parrot is considered to be Venezuela’s most endangered parrot, with Margarita’s Macanao Peninsula being the sole habitat for the species on the island. Classified as Endangered by IUCN, the parrot is constantly threatened by poaching, as well as the long dry season and a host of natural predators. 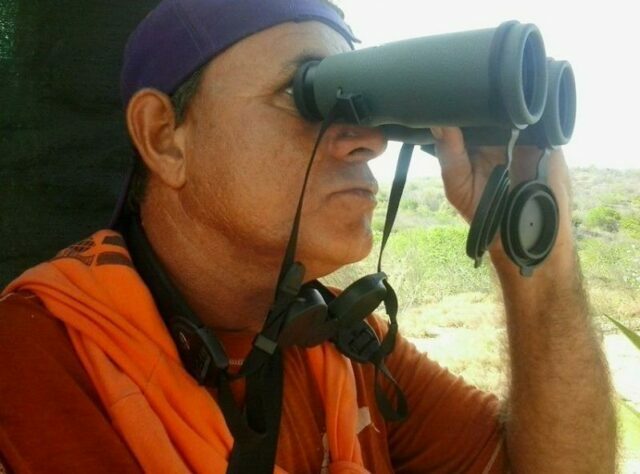 Pablo is a ranger for Asociación Civil Provita (Provita), World Land Trust (WLT)’s partner in Venezuela, working on the largest and most biologically diverse among the Venezuelan Caribbean Islands. Since the beginning of breeding season, rangers have been continuously monitoring the area: tracking poachers and blocking trails in order to prevent poachers reaching the nests. To date, there are 97 hatchlings in a total of 30 nests, although sadly two nests were attacked by poachers, taking four hatchlings. Pablo has been checking to detect newly hatched eggs. The rangers also guard eggs and hatchlings from natural predators such as snakes, hawks and skunks. In May 2014 WLT corporate supporter Swarovski Optik donated binoculars from their industry leading range of long range optical devices to support Keepers of the Wild in WLT project areas. Pablo reports that the binoculars have been very helpful in order to identify the presence of poachers from far away. Poachers often leave traces to create confusion, such as pieces of mirrors hung on trees. The binoculars are also helpful in identifying Yellow-shouldered Parrots that have been banded. As part of the reforestation project, Pablo, along with other rangers has been watering plants in Chacaracual every week. The dry season has been very harsh, with only a brief drizzle of rain in May. 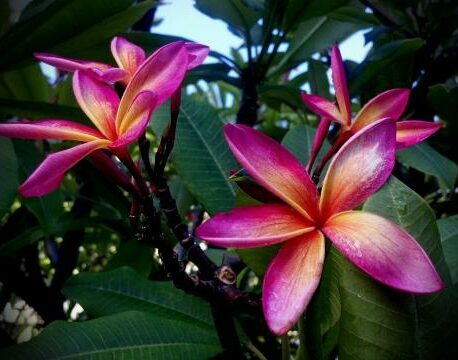 Pablo has noticed that plants are dying, and some plant species have not started to bloom. This is a cause for concern, as the plants providing the fruits and seeds that the parrots rely on for their food source should already be bearing fruit. Each year in Macanao, a drawing activity is held in order to select the image for the Festival de la Cotorra. During this activity, one student and one teacher of each school of the Macanao Península create a drawing. Pablo is not only a conservationist and a ranger, he is also an artist, so he plays an important role during this activity, guiding the participants in how to portray the image of Amazona barbadensis and teaching them about the biology of this species. Pablo’s work on Margarita Island is funded by the Keepers of the Wild programme.